Theme forest is one of the most visited online market places in the world, it so big and popular that there are countlesspeople/companies that have had made millions from humble beginnings. Theme forest like its counterparts have many strict quality filters before any piece of code gets its entry to the marketplace. Even though criticized about coding standards and about support given by envanto market sellers, it has improved very much over the years. Selling your designing-developing skills with ThemeForest provides a steady flow of income and a fan base for you or the company. Speaking of fan base, satisfied or happy clients will promote and suggest your company and deliver you more profit. Hence establishing and growing business through ThemeForest leads to more profits and reputation to you or your company. 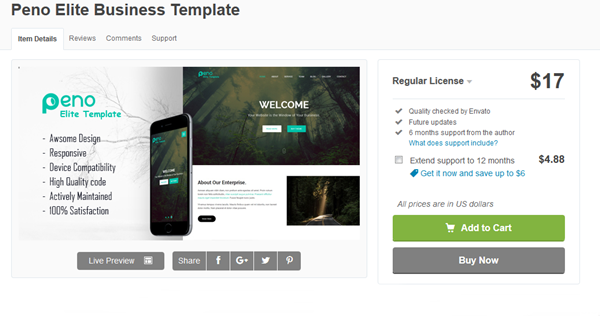 So how do you create and sell your themes/templates via ThemeForest? Emphasis on unique design, due to the fact that there are many templates having the same designs and people look for specialty and creativity. Basically they look into how differently you can present the website information and properties like responsiveness and usability must be considered when designing your template. Take time while designing, as this will surely effect the final template. While designing have a look at the ThemeForest template galleries to get some creative quotient. Take steps to have a minimalistic look and that sections have an adequate spacing. Your code must be understandable to a degree. You shouldn’t make it complex. Compatibility and usage of latest technologies and supporting files is considered a plus for your template code. For example, bootstrap, google fonts or font awesome, swiper, jquery, wow etc. Minify what you can and avoid unwanted codes and comments. Magnification of additional files to be sold through template package is recommended. Prepare a server to showcase your theme, this will be your template preview. Prepare a package containing files that are open source/shareable. This is your template package that is to be sold. Becoming an author at envanto is considered your first step to set up market for your files. This guide by envanto will back you up on the steps to be done. You can be an exclusive author or find market through other sites, it’s up to you. Your template files – checked, minified and packed for client usage. Description and usage of the template that has heading like – common description of the template, the template features, File formats used, List of files included in package, a note on your support for your template, the mail id to be shared with the descriptions of the template, so that clients can contact you. Template preview link of the template being sold. Logo of the theme/template or logo of company with name of the template on it. After they are kept ready, go through the form and start uploading and text contents. After saving uploads it will take close to 3 days or less for a reviewer to review your content. If there is a soft reject, don’t worry, make the changes on the preview site and code package and re-upload it. Soft rejections are common and will help improve your code to envanto standards. Consider these rejections safe and learn something from it. 5) Market your templateWhen your template is fully approved, it appears in your account as approved and you can search it using the search provided at theme forest. At this point what you need is marketing of your template and bring more clients to your template. This will be done in small bursts over the time by the clients you serve the theme, but an active marketing plan will be required. This will ensure your theme is good and developing and your reputation and income comes rolling in without obstructions. When you have a client base through marketing, and while you do so., go in and make improvements in your code package and add new functionalities/ improvements that the clients may suggest or require. Study the market whilst you make improvements to get a niche on the latest trends. Re review them and provide an updated package. You will get even more appreciation and profit on doing so. Check out our business template at ThemeForest. Checkout our profile at ThemeForest.